During pregnancy, your baby’s development is one of the most important things on your mind. There is so much information about what not to do or eat—but what about what you should eat? Over the course of nine months, a fetus develops from a small cluster of cells into a fully formed human being. 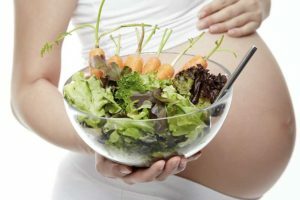 While you are pregnant, your baby gets all of its nutrition from you, so what you eat has a huge effect on this process. It’s important to make sure you’re eating the right foods in the best quantities to promote healthy growth and development in your unborn child. Research has found that the nutrition that babies get while developing can impact their health for the rest of their lives. In addition to eating a generally healthy diet full of fresh produce, lean meats and whole grains, you should follow some guidelines to make sure that your baby develops properly. How do you know what to eat during your pregnancy? Keep reading for a complete rundown of some of the essential nutrients you should get to make sure you and your baby have a happy and healthy time. Individual vitamins and minerals can affect random development processes, but the most influential part of your diet is the macronutrients that you eat. Macronutrients are substances required for human survival and humans need fats, carbohydrates and proteins. Without getting adequate amounts of these three categories, it is impossible for your baby to grow. It is recommended that pregnant women get at least 175 grams of carbohydrates, 71 grams of protein and 42 grams of fats each day. It is particularly important to get enough protein because studies have found that low protein diets impair fetal brain development. 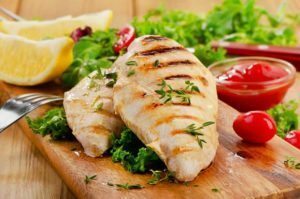 Protein makes up the most of a baby’s cells, meaning it’s one of the most important things to focus on during pregnancy. Protein deficiency can lead to a host of issues in your baby, including respiratory and neurological problems. To be on the safe side, pregnant women are recommended to eat one-third more protein every day than the average woman. Carbs are important for any diet, but during pregnancy, they have a huge effect on your baby’s glucose levels. Your doctor can best tell you how many carbs to eat during your pregnancy, but keep in mind that it’s most important to take in carbohydrates from whole foods rather than over-processed, packaged sources. Like most foods, it’s important to get enough fat in your diet. Though we tend to think of fat as a bad thing, not all fats are created equally. Try to limit trans and saturated fats, as these have little nutritional value for you or your baby. Instead, opt for foods rich in omega-3 fats, like avocado and nuts. These fats are important because they promote healthy brain and eye growth, as well as placenta development. The average person does not pay much attention to their folic acid intake because people generally get enough of this vitamin through basic foods to avoid any ill effects. However, folic acid becomes essential during pregnancy because it is needed to build new cells. If pregnant women do not get enough folic acid, studies have found that their babies are at risk for spina bifida, other neural tube defects and premature birth. Folic acid helps your baby develop their nervous system, making it an extremely important part of your diet. Leafy greens and citrus fruit can give you what you need, but your doctor may suggest taking supplements as well. Ideally, pregnant women should start getting 600 micrograms of folic acid daily starting in the first few months before they are pregnant. You can start supplementation before conception if you plan on conceiving sometime in the next year, but otherwise, you should just start taking folic acid as soon as you know you are pregnant. Calcium is just as important, as it helps your baby develop muscles, bones and their heart. In addition to dairy, you can find calcium in beans and nuts. Both you and your baby’s bone health is affected by calcium intake. This mineral is needed to build bones and teeth during the second and third trimester. 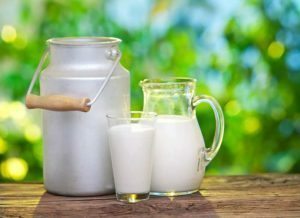 It is so important that your body will leach calcium from your bones to build the fetus’ bones if you do not eat enough. Vitamin D helps with bone development in your baby, while vitamins E and A help with cellular growth and can contribute to healthy development of body and organ structure in your baby. Most expectant mothers are encouraged to take higher levels of these vitamins due to how many are needed during pregnancy. However, doctors caution against taking too much vitamin E as higher dosages may harm your baby. Vitamin A is one of the vitamins most essential for growth and development throughout a human’s lifespan. A study in 1998 found that vitamin A deficiencies could cause increased risks for all types of congenital deformities. It is particularly necessary for creating the heart, lungs and liver. Since these organs are necessary for your baby to survive, a congenital malformation in these areas could be life-threatening. Pregnant women need at least 770 micrograms RAE of vitamin A each day. B vitamins are important for both baby and you. Vitamins B2 and B3 keep you feeling healthy, lessening nausea and lethargy, while B1 and B6 play key roles in helping your baby’s brain and nervous system develop. It can be difficult to obtain the levels you need from diet alone, but your doctor can give you a daily recommendation to keep you and baby in tip-top shape. Vitamin C helps with your baby’s bone and cartilage development, making it an important part of your daily intake. While it’s important to obtain an adequate level of vitamin C during pregnancy, too much can actually have an adverse effect, so be sure to consult your doctor on your personal limits. Magnesium not only helps calcium to promote strong bone development in your baby but can also ensure your uterus doesn’t contract too early. Iron is particularly essential to fetal development because it transfers oxygen throughout the bloodstream. Oxygen is needed for living cells to function and multiply throughout the body, so doctors recommend that women double their iron intake to 30 milligrams each day. This helps to ensure that your bloodstream contains enough iron to properly support the fetus. Iron is essential not only because your body produces a lot more blood during pregnancy, but because it promotes healthy placenta growth. Without enough iron, you may develop anemia and your baby’s development may be slowed. When taking a prenatal vitamin, it’s important to check the levels of copper, zinc and iodine they contain. While the benefits of these minerals during pregnancy are undisputed, too much of any of them have been linked to harmful effects. Your best bet is to have your levels checked and talk to your doctor about how much is just right for your baby’s healthy development. Along with getting the proper nutrients and mineral content, staying hydrated is one of the most important elements in a healthy pregnancy diet. In addition to helping prevent UTIs, constipation and hemorrhoids, water provides your baby with all its necessary vitamins. As you consume vitamins and minerals through foods and prenatal vitamins, the water you drink helps your body’s cells absorb these nutrients and deliver them to the placenta and ultimately to your growing baby. Typically, it is recommended that a pregnant woman consumes 12 to 13 glasses of water per day (8 ounces per glass). Being pregnant is an incredible change in a woman’s life, and fetal development is one of the most important aspects. What you eat and the vitamins you take play a huge role in how your baby grows and how healthy they will be. Being so responsible for the health of your child can seem intimidating, but pregnancy nutrition does not need to be bewildering. You can talk to your doctor if you have any concerns and before making huge dietary changes, but make sure to ask them about the macro- and micronutrients listed above. In addition to food consumption, there are many prenatal supplements that provide the correct amounts of vitamins and minerals. By eating the right foods while pregnant, you can ensure that your baby has a healthy start to life.